2018 has been an unprecedented year for the space industry — from spawning an exorbitant number of launches by companies such as SpaceX and Rocket Lab, to hundreds of millions of dollars being invested in emerging startups, the industry is growing at a massive rate and everyone is taking notice. New Space has been on the rise for several years now, as traditional companies have recognized the inherent need for collaboration to drive innovation and move the industry forward. This last year, however, has been critical for securing a fruitful future for companies like ICEYE, who have successfully demonstrated the potential of their technology. Seraphim Space Capital reported that the Space Tech industry received $3.312 billion in venture capital (VC) investment between June 30, 201,7 and June 30, 2018, with the launch sector corresponding to the majority of transactions. 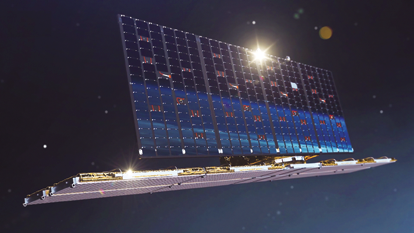 ICEYE was fortunate enough to receive funding this past year and also successfully launch the world’s first synthetic-aperture radar (SAR) satellite under 100 kg. in January of 2018. 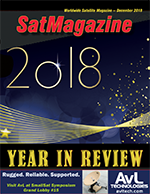 While the expectation is that all should expect remarkable innovations in the year to come, 2018 certainly proved to be an exceptional year when noting the technology that is transforming the industry. Until this past year, SAR technology was a phrase heard, but not all that often. Not because the technology didn’t exist, but because the success rate for launching the miniature SAR radar on a satellite into orbit was at zero percent and tantamount to a myth — would anyone be able to prove that a SAR satellite can work? At ICEYE, we took it upon ourselves to challenge the industry’s preconceived notions about SAR and to prove that it could be accomplished. ICEYE miniaturized the SAR instrument by building our own technology from scratch and fitting it on a satellite with a mass of under 100 kg. — bearing in mind that the earliest versions of these satellites could weigh upwards of thousands of kilograms. In January of 2018, ICEYE garnered success: the company launched a smallsat (under 100 kg.) into Low Earth Orbit (LEO) on board ISRO’s PSLV-C40 rocket. Further underlining the success, ICEYE established communications with the satellite while the spacecraft was on orbit and subsequently captured more than 600 images from around the world during the breakthrough ICEYE-X1 mission. SAR radars have a wide range of benefits compared to optical radars. SAR radar technology can see through inclement weather and cloud cover without sunlight. The capabilities of SAR data range from the prevention of illegal fishing to monitoring crops and detecting icebergs, and the applications for SAR continue to grow. 2018 saw only the beginning in demonstrating these use cases. Adequate funding was and is a critical factor in the success of companies such as ICEYE who rely on private investments to further R&D and fund launches that are strategic in demonstrating to customers and VCs the viability of a satellite’s technology. An artist’s depiction of ICEYE-X2 SAR satellite in orbit. Notwithstanding the risk, of course, ICEYE’s recent Series B funding of $34 million was raised to accelerate the company’s launch plans, supported by ICEYE partners’ belief in the company, largely due to the success of the first satellite launch, ICEYE-X1. This level of funding is expected to increase throughout the industry in 2019, as more New Space companies from around the world continue to break ground. One of ICEYE’s lead investors, Space Angels, predicted in one of their quarterly reports that 2018 would be the ‘Year of Small Launch’. And with launch investments exceeding $1 billion, we have to agree with that statement. With the recent surge in launches and funding, launches will continue to ‘take off’ during 2019. Partnerships with traditional and New Space companies were also solidified in 2018 and will continue to increase in 2019. ICEYE entered into partnerships with the European Space Agency, Aker Arctic and KSAT (Kongsberg Satellite Services) to change the future of Earth Observation (EO) and improve access to satellite imaging data. It’s no longer about one company achieving the impossible; it’s about companies joining forces to combine their respective advancements in technology and move the industry forward as a result. The benefits of partnerships doesn’t end there, however. ICEYE’s relationships with investors such as Seraphim Capital and Space Angels are intended to last far beyond the signings on the dotted line and these relationships will extend into the generation of new opportunities in the future. While 2018 was certainly a milestone year for ICEYE, such doesn’t mean that the firm won’t be facing additional challenges in the coming year, just as other New Space companies will face. The industry is constantly in flux; however, ICEYE is eager to see additional satellites being launched in 2019 and the company will truly move the needle by reaching the goal of launching a full SAR constellation by 2020. ICEYE is excited to launch as many as nine additional ICEYE satellites before the close of next year, further showcasing the capabilities of SAR technology and helping the company move one step closer to changing the future — for the better. As ICEYE continues to see growth, it’s undeniable that the future of space is also transforming. While new players are entering the market, costs are going down and new technologies are being developed, all of which can enable further expansion in various industries. Even more of a telltale sign that the industry is seeing rapid growth is the rise in interest from VCs. With more successes being delivered through the pipeline, investor interest will likely skyrocket in the next year, particularly for more niche sectors such as EO. This further demonstrates the abilities and the transformative capabilities the New Space industry offers for the future. As CSO, Laurila has been instrumental in establishing and directing the company’s strategy — previously, as CFO, he raised the initial $20 million in funding for ICEYE. Laurila joined forces with ICEYE Co-founder Rafal Modrzewski to create synthetic-aperture radar (SAR) smallsats to solve the various large scale issues the world faces, including those related to the melting ice caps, ice monitoring, agricultural issues, and analytics focused on Earth Observation. iDirect can look back at 2018 as a year of continued transformation. We’re experiencing a thrilling mixture of innovation, optimism and anxiety. Currently, satellite connectivity advances are merging with an even bigger transformation across mainstream telcom networks. On the satellite front, we continue to be dazzled by the revolution in the sky — new satellite designs and constellations across GEO, MEO and LEO orbits that are projected to drive down the overall cost of satellite capacity to spur new growth. Satellite ground infrastructure leaders are, in turn, focusing on service roaming, sourcing bandwidth from multi-orbit constellations, software-defined terminal architectures, flat-panel antennas and new designs for both hub infrastructure and network operations that reduce the cost to scale and manage networks. iDirect Evolution X7 Satellite Router. The firm’s iQ remote portfolio is a step in this direction, delivering greater performance and efficiency to leverage the benefits of today’s High Throughput Satellites (HTS) and the capabilities of next-generation U-HTS. For the cellular backhaul market, the company is combining the iQ 200 with our SatHaul-XE solution to provide a cost-effective, high performance solution for 2G/3G/4G with an enhanced end-user experience. This year saw continued expansion of defense spending and demand from government and military markets around the world. With the launch of our defense software release, Evolution 4.2, which enabled the full capabilities of the 9-Series satellite routers and Defense Line Cards, many of our customers refreshed their networks for the enhanced capabilities that came with our 9-series portfolio. iDirect also launched the 9050 OM for U.S. customers, the firm’s first, fully-ruggedized terminal designed to withstand harsh environments and survive a High Altitude Low Opening (HALO) parachute jump. In 2018, iDirect expanded its partnership with Kymeta in an agreement to become an official reseller of the KyWay Terminal to the company’s global base of mobility-focused partners. The KyWay Terminal integrates with the iDirect X7 modem, uniting performance with a sleek, cost-effective form factor. The partnership will drive growth across key mobility markets, specifically for land mobility, such as first response vehicles, trains and buses. This year, iDirect and Kymeta showcased our solutions at Verizon’s exhibition of the world’s latest emergency response innovation. An All-Terrain Vehicle was rolled out that enabled first responders to communicate with their existing communications devices back to the command center to send crucial data. The company also expanded our strategic relationship with Inmarsat who, this year, awarded iDirect with the ground infrastructure contract for the fifth Global Xpress (GX-5) satellite. The contract is a critical advancement in mobility, enabling commercial airlines, maritime operators and mobility service providers to gain a performance advantage while meeting escalating customer demands. iDirect is teaming with consortium members on solutions for telco providers so they can accelerate 5G deployment over satellite across all geographies and support multiple use cases, such as massive IoT and enhanced broadband (eMBB), as efficient, edge delivery of multimedia content. 2018 marked the year where iDirect showcased two, first-of-its kind live demonstration at 5G industry events. Turning into 2019, iDirect is focused more than ever on driving innovation across the satellite industry. The iQ remote portfolio will be expanded with the introduction of the iQ 800 and iQ 500, and further return channel enhancements in terms of efficiencies and throughput. The iQ 800 is an aero solution designed for high-throughput capabilities, featuring wideband support and seamless satellite beam switching. The iQ 800 will also be the industry’s first multi-provider roaming solution. The iQ 500 will serve high-end mobility and telecommunications markets with high-throughput capabilities and wideband support. The company will continue to improve performance and efficiency in waveforms, with the development of alternate return channels for aero and maritime networks. We’ll integrate further with wireless and terrestrial networks through 5G collaboration efforts and the company will move more aggressively toward delivering remotes as software solutions that can be embedded in new form factors. For 2018 and into 2019, the iDirect goal is to drive down cost and drive up performance for customers — all the while equipping them with the technology to participate and drive new revenue within the end-to-end network. For an industry that relies on RF technology, there is a lot happening to integrate with the IP connected world. The rapid growth in High Throughput Satellite (HTS) capacity and the rise of Ka-band capacity is a testament to that, with some predictions suggesting a doubling of leasing revenues by the early 2020’s. There are major innovations going on in what has been termed New Space — Low earth Orbit (LEO) constellations that promise connectivity for locations that have always been a challenge for any form of reliable communication. This includes dependable, high bandwidth infrastructure for developing nations, polar regions and marine services. IMT Vislink is seeing transition and growth driven by humankind’s desire to experience more and better visual communication systems. 4K UHD resolution video is having an impact on TV broadcast services. Forward-looking statements of intent from many top-tier providers and high-end live events indicate that 2019 is likely to bring an increased demand for payload capacity and demand for antenna systems that fulfill the link budget requirements of higher bandwidth transmissions. News programming is changing as well. News channels were once marketed and funded as halo services that stood clear as the identity of a broadcasting brand. Budget priorities have changed and operations leaders are investing in new ways to be more efficient in delivering on the insatiable appetite for news. Pre-recorded pieces to camera delivered as video files are becoming more common than live two-way interviews. There is a drive to procure more integrated and automated technology in a move to lessen the need for multiple highly skilled, highly specialized technical staff. Operational simplicity is most certainly the order of the day going forward. Live TV broadcasting over satellite and other forms of connectivity continues to be driven by cost per bit economics. Uplink operators are keen to reduce their OPEX costs by investing in greater transmission efficiency — the company has been actively innovating this year to deliver that next step change. 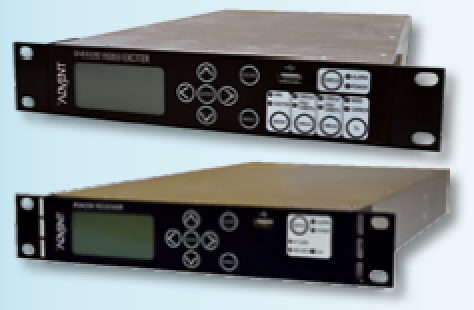 IMT Vislink has recently been showcasing a suite of new Advent products in the form of the DVE 6100 satellite encoder and IRD 6200 satellite decoder (pictured to the left), that together provide end-to-end video connectivity and use new HEVC compression and DVB-S2X satellite modulation. These two technologies combined offer up to a 50 percent reduction in satellite bandwidth compared to older technology, while maintaining equivalent quality video. For HD resolutions, the reduction in satellite bandwidth leasing and satellite bandwidth costs can result in a payback on investment in new equipment in just a few months. For operations that are dealing in 4K quality video, the new technology is the key that makes a service launch a practical reality. It is not just the search for OPEX cost reduction where the new HEVC and DVB-S2X technology finds a home. By being more efficient in use of valuable bandwidth, broadcasters now have access to more payload data rate without transmission cost increases. This new space enables the broadcasters to satisfy the demand for additional content, like companion device content, commentary tailored to highlight a particular team and backstage interviews that all become affordable and deliver a more engaging production. The Advent DVE encoder and IRD decoder products have developed a strong following in the SATCOM world by mixing high-quality video compression with low latency processing, which is extremely valuable when communication channels inevitably incorporate a geostationary round-trip. The small form-factor and integrated HPA control capability delivers valuable space-savings in increasingly sophisticated uplink vehicles or for fly-away applications that have to comply with airline baggage regulations. Where does the IP world come in? In short, everywhere — IP internet connectivity between equipment is preferred as it leads to common interfacing, lower cost installations and for mobile operations, a valuable reduction in weight. New standards for video interconnection are now here and 2018 saw the beginning of SMPTE 2110 as a mechanism to transport baseband video over IP with the first all-IP video production trucks being brought into service. 2019 looks like it will be the year that many operators follow suit and finally transition to all-IP internal connectivity. IP is increasingly critical on the external communication side too. In today’s hyper-connected world, it is unrealistic to expect remote and mobile teams to be beyond reach of IT network connectivity. For newsgathering and outside broadcast satellite transmission operations, if there is go-anywhere satellite connectivity, why not simplify operations by providing go-anywhere satellite connectivity to the corporate network? This year, IMT Vislink has been responding to this need with a brand new Advent satellite terminal with IP at its heart. The AirPro75Ka antenna offers high rate IP connectivity that allows ad-hoc connection to the Eutelsat Konnect (formally Tooway) network. The Advent AirPro75Ka terminal is a single-click device that automatically finds the satellite and provides users on-air connectivity in a matter of minutes. The antenna system uses pay-as-you-go data bundles for general connectivity and file transfer in conjunction with the ability to book uncontended satellite time to enable live and reliable broadcasts. 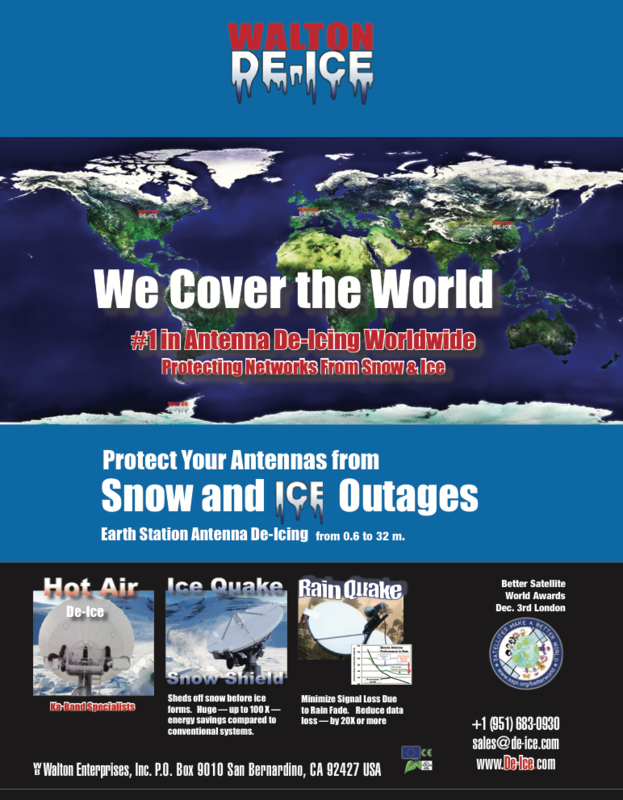 The Advent AirPro75Ka antenna has been finding many fans in the SATCOM industry by addressing the need of operators to work in newer and smarter ways with better use of budgets. 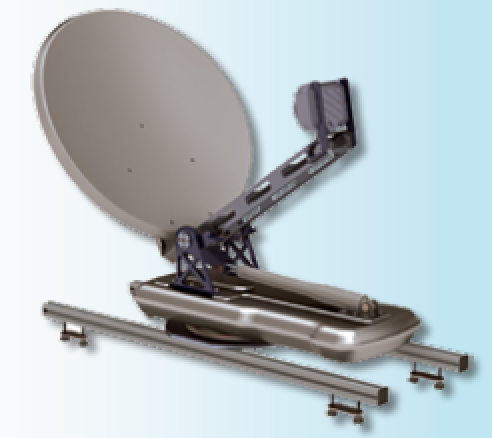 The Ka-band IP connectivity provides better flexibility, better price per bit and a physically smaller antenna package than traditional Ku-band terminals, which allows it to be installed as a companion antenna on existing DSNG trucks or as a sole transmission device on new smaller vehicles. Having tested the market response to the device this year, conducting data transmission trials, including on environmentally friendly electric vehicles, not only are customers liking the robust affordable construction, they are also liking that IMT Vislink is selling the antenna and air-time as a combined package. Selling both the antenna and air-time in a package is enabling a quick and easy transition to the IP connected world. This is something IMT Vislink will be taking to the mass-market in the coming year. With such a heavy investment and commitment to the SATCOMs industry, IMT Vislink is reaffirming the long-standing Advent satellite brand. Users taking delivery of new satellite products in 2019 will notice improved user interfaces and a fresh modern logo that reflects the dawning of a new IP-centric satellite world. David Edwards started his career as a design engineer working on the first generation of Direct Conversion satellite demodulators for Digital TV - realizing an all-silicon solution that enabled a shift in technology price points and reduction in complexity. With a background in designing link budgets for many of the world’s leading broadcaster’s satellite networks, Edwards understands the balance and trade-off of video quality, network reliability and operational cost that operators need to create a financially successful satellite-based business. Acting as a Product Manager at IMT Vislink, Edwards spends a good deal of his time monitoring industry trends, listening to equipment operators to understand what matters most to them and translating these desires into bringing to market many familiar, leading-edge satellite broadcasting products. 2018 has proven to be an exciting year for Integrasys, with important changes occurring — there’s a new CEO for the firm, and with that change, new business units and positions have been acquired. The company bases its success in innovative products that make satellite technology simpler to use — the company launched multiple new technologies during 3018 and developed highly effective new partnerships. Following the company’s strategy of “Win-Win” with our partners and to never compete with them, Integrasys has accomplished several superlative achievements. In 2018, we obtained partnerships with SpaceBridge and UHP with new projects and numerous opportunities afforded the firm. 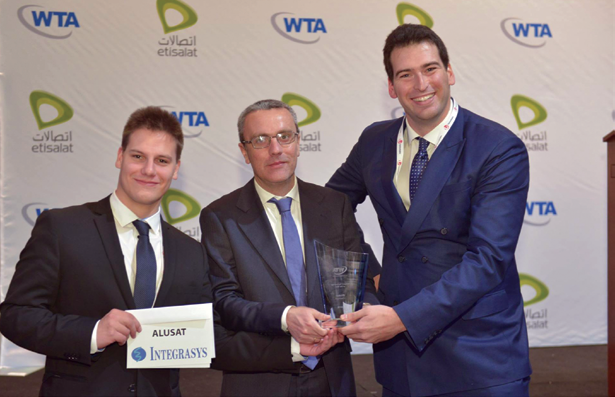 Integrasys´ Alusat was awarded the most Innovative Technology at a trade show by the World Teleport Association; thanks to the product’s massive OPEX savings that predictive maintenance delivers to the satellite networks. Additionally, the industry recognized Integrasys as one of today’s most innovative companies with four awards over the last four years. This year, we grew our staff by 180 percent and gained far more traction with Integrasys LLC within the USA through the hiring of new employees. Additionally, significant staff was added in Madrid and then, following closely, the company;s Seville, Spain, unit added a new Customer Success Business Unit. Currently, the company is expanding into Asia. Last year, company profits grew 300 percent and this year appears to also experience strong growth in profitability, thanks to the industry trusting the firm’s technologies and the great support across the globe. This year, before the end of Q3, Integrasys will have exceeded the 2017 revenue. After 28 years of being a very stable business, it is a pleasure to experience how a dynamic company can strengthen their product lines through innovation and then, subsequently, win significant market share by differentiating their technology from competitors. Satellite operators today need to consider the acqusution of tools that add value to support the increased capacity needs of customers and to provide a better value proposition to their VNOs. Integrasys offerings are ideal for this proposition, allowing service providers and telcos to save significant OPEX. Integrasys is fully engaged with our customers. The firm’s support team is staffed by the same engineers who develop the product, which helps with instant connectivity resolution, providing support anytime, anywhere — Integrasys has received a 99 percent Customer Support Satisfaction via customer support surveys. Integrasys is global company with partners ranging from New Zealand to Alaska and is opening new offices across the globe. The company is providing new solutions day by day, with the goal being to facilitate the needs of our customers. Integrasys would not be the success that it is today without the dedication of our partners. The company is proud to bef working with most of the leading Satellite Operators and Service Providers in the industry. For us, a total commitment to quality and service is an absolute must. The company’s R&D team has more than 25 years of experience and the Integrasys engineering team in Seville has been developing ad-hoc projects to solve a variety of customer challenges to ensure their success. We strongly believe that product innovation and understanding the needs of customers and the market are the keys to success. In 2019, Integrasys expects to experience important growth in various regions across the world, with new offices to support a growing customer base. The company commits to provide them with simpler and faster solutions for monitoring their carriers, as well as designing, deploying and maintaining their networks. Alvaro (pictured to the right in the photo above) is the CEO of the Integrasys Group (Integrasys S.A. and Integrasys LLC), and focuses on developing and commercializing the best Carrier Monitoring Systems and VSAT Network tools for designing, deploying and maintaining networks. In the past years, Alvaro has experience in the Sales & Marketing Departments at Integrasys — prior to joining the company, Alvaro was an RF Engineer at CERN in Switzerland.